We believe that by being healthy you can get more out of life. They came to Atlanta with a dream of spreading healthy food options, readily available in California, to the South and in 1980, the original Nuts 'n Berries store opened. The original "Nuts" introduced the community to organic and natural products before anyone else thought they were cool. And for over 30 years, Nuts 'n Berries led the way. When the big box stores caught on, like many independent health food stores, Nuts 'n Berries struggled and in 2015, the original owners sold the store to two "outsiders" with a vision for the next generation of health food store. 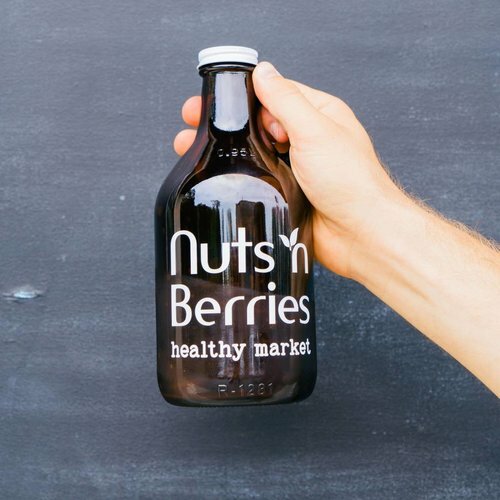 The new Nuts 'n Berries owners, Mari Geier and Kevin Parker, see the Natural Foods Industry differently than the old school owners. And they are redefining what it means to be an independent health food store, a community resource and a small business leader in the new age of health and wellness. At the heart of every community there is a place where people gather, Nuts 'n Berries Healthy Market is that place. From Facebook Live juice cleanses and foot detox videos (not at the same time, of course) to bringing you the farmers market after the market with more local healthy products than any other store. And of course, offering the most current and relevant information in a way that you can sort through all the noise and get just what you need, because being healthy means different things to different people. We want to get to know you, so we can help you get more out of life! Visit us in the store or online.